In a world of digital media, majority of those looking for news on the latest games and DLC’s simply hop on their computer or whip out their phones. Before this option, gamers had to rely on published gaming news magazines, such as PC Gamer and Game Informer, but was this just what was most convenient at the time or truly a preferred way to get the news? I mean, there are still plenty of people who purchase magazines and newspapers when all that they need to do is Google anything they would like to know! Understanding the value of a printed and collectible news magazine is both nostalgic and worthwhile. This is how you learn of brand new topics, or in the gaming news world – new games, that you didn’t even know of prior while all the facts and details are listed below. One man remembered these good ole fashion gaming news magazines as a fond part of his childhood, as many of you do as well. This man is Jeffrey Porter, founder and creator of The Indie Gamer Magazine! This magazine is fully focused on covering the latest and most interesting indie games that are coming out soon. Featuring interviews, reviews, breakdowns, platforms, and so much more, The Indie Gamer Magazine looks to be filling in the shoes that have been left at the door side for quite some time. Interested, I reached out to Mr. Porter and got to know a little bit more about what his new magazine had to offer. 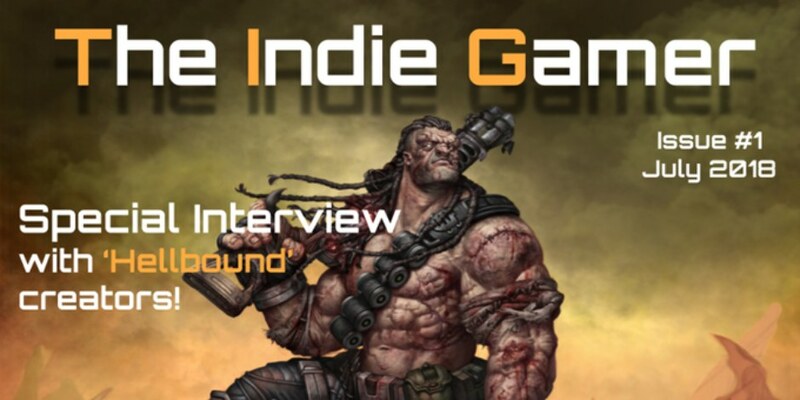 Who are the founders of The Indie Gamer Magazine? What inspired you to develop a printing magazine in the era of online media? How many issues do you foresee The Indie Gamer Magazine publishing? How popular has it been since it started? When did the first magazine get published? How big is the team putting this together? What would you say to those worried about your magazine sacrificing quality news for quantity? “I would say I think it’s quite the opposite. I keep the magazines to 36 pages every month and try not to overload readers with too much. That said, I do hope to get to the point where I can grow the magazine bigger, but as of now, with mostly just myself, 36 pages seems to be about perfect. It seems that the magazine is taking off rather well for a single person start up and he is drawing near to the days of printing a physical magazine to be shipped out to subscribers. Until then, each issue can be bought either digitally or physically on MagCloud and interested readers can follow The Indie Gamer Magazine on Facebook. Coverage on the latest AAA titles will always have the brightest spotlight, but it is nice to see somebody focusing on weeding through the field of indie games to select and provide a limelight for those worth the players time. So, do you plan on subscribing to The Indie Gamer Magazine?